Recent press coverage for my latest project Snowdon: A Life in View includes an in depth interview with David Clark for Amateur Photographer magazine. 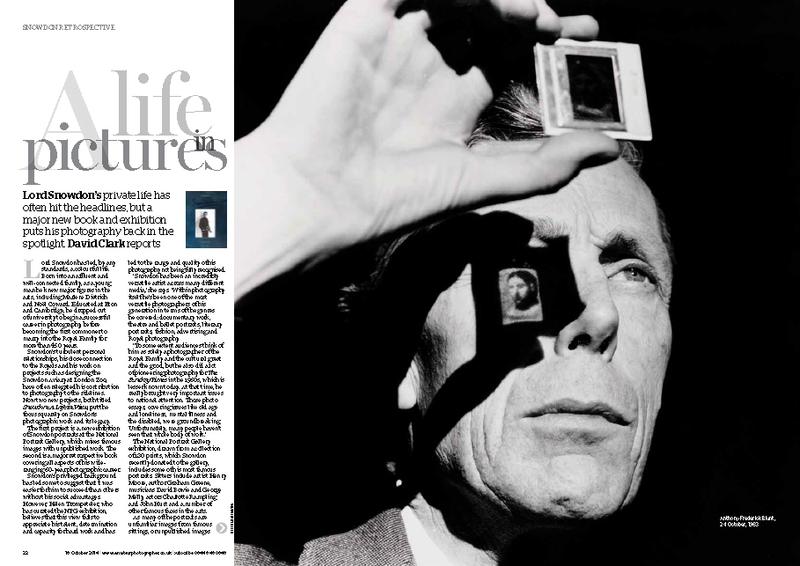 You can read the full feature on Lord Snowdon’s photography career online and the exhibition continues until 21 June 2015. This entry was posted in Features, News, Photography, Reviews and tagged A Life in View, Antony Armstrong-Jones, Curating, Exhibition, Lord Snowdon, Photography.